"Write now is good. ": "The Age of Conversation"
8 posts categorized ""The Age of Conversation""
"The Age of Conversation 2" is available now! The Age of Conversation 2, a new collaborative book in which I've written a chapter, is being released today. The book features essays on how social media (like blogging) is changing the conversations we have with each other—in business, our work and personal lives, both online and in the "real" world. My chapter is titled "Crossroads: When micro storytelling meets social media", and if you want to read it, you may purchase the book here. What is The Age of Coversation 2 about? Bloggers Drew McLellan and Gavin Heaton had an idea in early 2007 to create a book about how blogging was changing their world, and they invited others to join in. The first Age of Conversation had 103 authors, representing 10 countries and 24 U.S. states. Based on the first book's success, a sequel naturally followed. Released today, the AOC2 has expanded globally: its 237 authors hail from 14 countries and 29 states throughout the U.S.
All proceeds from the first book went to Variety, the Children's Charity. We hoped to raise at least $10,000 (U.S.), and we raised $15,000 instead. The goal of AOC2 is to raise $15,000 for Variety, and we hope to even surpass that—with your help. FINAL UPDATE: With everyone's help, "The Age of Conversation" made it all the way to #262 in all books sold on Amazon and #36 in all Business books. Amazing! When final tallies are made, I'll be back with an update on how much additional money we made for Variety. Communities online can move mountains — this is just one more example of that. UPDATE: It's Saturday, and I just bought my copy. Here's the link to buy "The Age of Conversation". Currently, it's at #917 on the Amazon charts, so the bum rush is working. (It was at #3,559 just a few hours ago — it's really rising in rank.) Thanks, everyone! 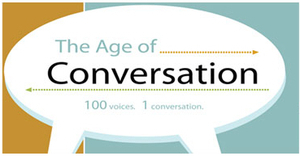 In 2007, more than 100 bloggers (103, to be exact) each wrote a chapter for "The Age of Conversation". I'm a proud contributor to this book for many reasons. It's inspiring to be connected to so many bloggers/thinkers/writers from all over the world. This was a ground-breaking project spearheaded by Gavin and Drew, who have been bold enough to start a sequel to this book (more details on this soon!). Also, all proceeds from this book have gone to Variety, the Children's Charity, and we've raised way more than our original goal of $10,000 for them. In a last-ditch effort to raise additional money for Variety and to close out "AOC volume 1" before "AOC volume 2" gets started, Chris Wilson is orchestrating a "bum rush" on the Amazon charts for the book. If you would like to purchase "The Age of Conversation", please do so this SATURDAY (not before, not after). If you want to purchase MORE than one copy, purchase them on SATURDAY ... one at a time. Why? By purchasing books one at a time on this one day, it goes higher up the Amazon sales ranking charts. (I did not know this until recently — interesting, eh?) This higher ranking will bring the book more attention, and we're hoping that more people will buy it and that the charitable proceeds will sky-rocket. 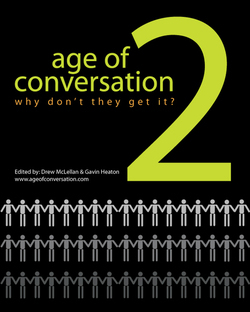 The dynamic blogging duo that is Drew and Gavin has announced The Age of Conversation's sequel. It's an open call for authors, and here are the details. If any of these pique your interest as a marketing-related writer, or if you'd just like to vote for the book's theme, take the short survey. The Age of Conversation (still available for purchase by clicking on the book's cover on the right) has raised more than $10,000 USD for Variety, the children's charity. Book 2's proceeds will add to this amount. I've signed up again. I can't wait to see what's in store for this next community creation. we have sold 382 copies and made $3,071.91 for the charity. Now that's news worth spreading! Our goal for this project is $10,000. -- The Age of Conversation is off and running! UPDATE: "The Age of Conversation" is #5 (hardcover version), #8 (paperback), and #27 (e-book) on the Lulu.com best-seller list for this week! Thanks to those who have bought a copy in support of Variety, the children's charity. W.R.I.T.E. — an excerpt from "The Age of Conversation"
Blogging will energize the writer in you. It will inspire you to look deeply at your passions. You will list topics to cover, read other sites for insight and inspiration, and find favorite bloggers in the process. Yet for all of blogging’s exhilaration, there are moments when you will be challenged, frustrated. Your river of flowing thoughts will freeze. Then you’ll feel an irresistible pull. Part gravitational, part magnetic, all motivational. A thaw happens, and you’ll start writing again. To read the rest, to hear the 102 other amazing voices in the book, AND to help the world's children through Variety, purchase "The Age of Conversation." Welcome to "The Age of Conversation"
The collaborative book writing trend continues here at "Write now is good." Today, I'm proud and pleased to announce the launch of another innovative writing/technology project. I've written a chapter for it. 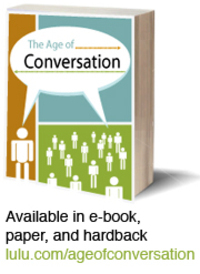 Welcome to "The Age of Conversation," a new book released today. Purchase it here. - Bloggers Drew McLellan and Gavin Heaton had an idea just a few month's ago to create a book, and they invited others to join in. - Bloggers responded generously, and the finished book has 103 authors. Each has written one page only on the topic of the conversation age. - The authors hail from 10 countries (Australia, Belgium, Canada, France, Great Britain, Holland, India, Italy, Oman and the U.S.A.) and 24 U.S. states. View the authors' map here. - All proceeds from the book go to Variety, the Children's Charity. We hope to raise at least $10,000 (U.S.). 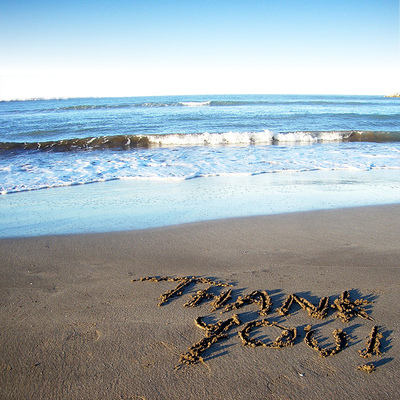 - There's also a special dedication in the book, in support of one of the book's authors. My chapter is called "W.R.I.T.E. — The Writing/Blogging/Conversation Phenomenon." I'll feature an extremely short excerpt from it tomorrow. To read the entire piece, you must purchase the book. Creative collaboration makes a difference. In just a few months, a small group of people has created a book, made new blog friends, and formed a community. I hope that "The Age of Conversation" raises a ton of money for Variety, and also inspires others to create and connect. Go to "The Age of Conversation" blog to find out more!